Spike Lee and Samuel L. Jackson celebrate Lee’s 2019 Oscar win for Best Adapted Screenplay for BlackKklansman. 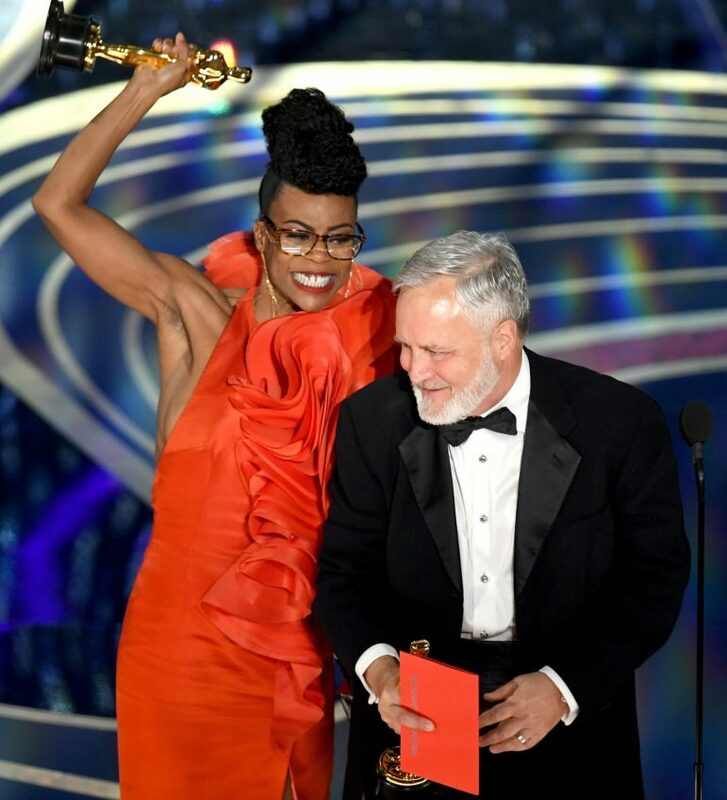 The 2019 Academy Awards have come to an end and #BlackGirlMagic and #BlackBoyJoy were in full effect as some of our favorites walked away with gold statuettes, some after a 30-year uphill climb. Black Panther was a big winner, taking home Oscars for Best Costume Design (Ruth E. Carter) and Best Production Design (Hannah Beachler). Both women made history. Carter, who thanked her 97-year-old mother during her speech, is the first Black woman to win the coveted category. Beachler is the first African American and only Black woman to be nominated and to win for set design. Their wins also marked the first-ever wins for Marvel Cinematic Universe. Carter also thanked Spike Lee for helping to launch her career in the entertainment business while Beachler thanked Black Panther co-writer and director Ryan Coogler. “I stand here because of this man who offered me a different perspective of life,” said the Moonlight and Lemonade production designer. Ludwig Göransson won the Best Original Score category for Black Panther. He also thanked Coogler, his collaborator while the two were students at the University of Southern California’s film school. 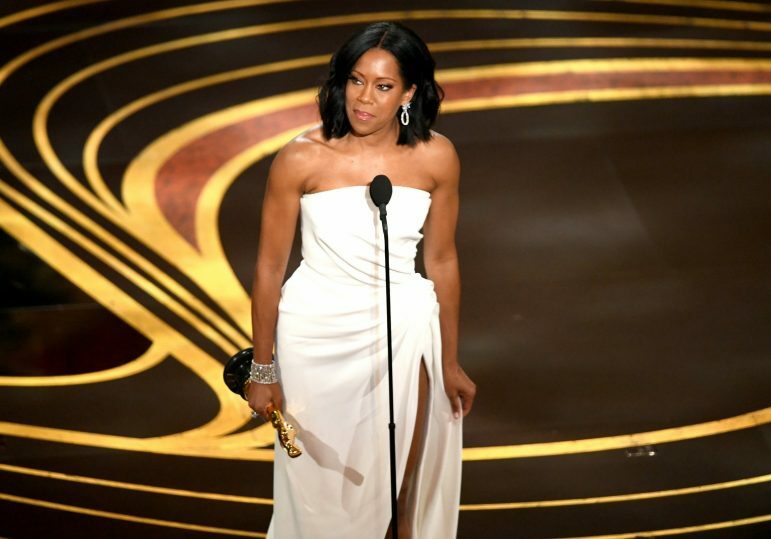 Regina King started the night off with her first Oscar win for Best Supporting Actress for her role in Barry Jenkins’ If Beale Street Could Talk. Her role was small, but mighty and the decorated actress cried as she thanked her mother. 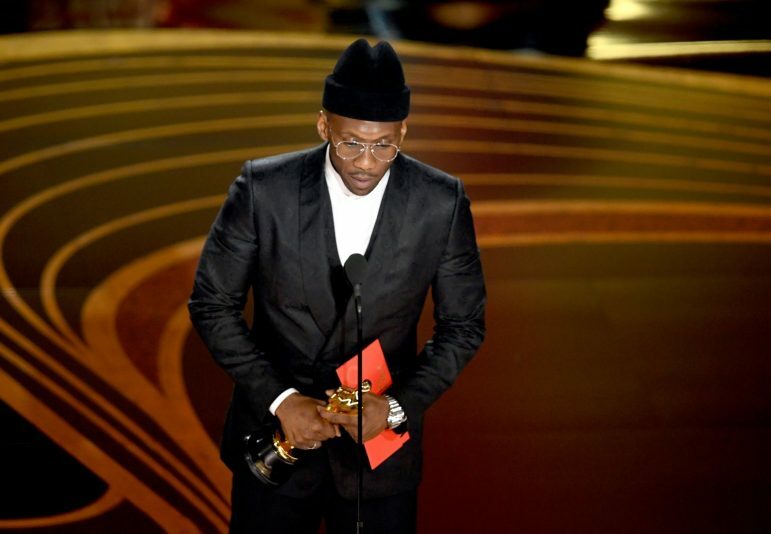 Mahershala Ali became a history-making two-time Best Supporting Actor Academy Award-winner with his win for Green Book. Ali thanked his grandmother for her sage advice and always believing in him. Peter Ramsey won for co-directing the Best Animated Feature Spider-Man: Into the Spider-Verse, making history as the first African American to win the award. Prolific filmmaker Spike Lee won an Oscar for Best Adapted Screenplay for BlacKkKlansman after having been overlooked in the competitive categories. Lee literally jumped into the arms of actor and fellow Morehouse man Samuel L. Jackson in celebration of the win. While Jackson held the statuette, Lee went on to discuss slavery and the importance of finding strength from the ancestors, Black History Month, his grandmother, a Spelman College graduate, and his alma maters: Morehouse College and New York University. The filmmaker closed his speech with, “Make the moral choice between love versus hate. Let’s do the right thing.” The academy finally did the right thing by acknowledging the contributions of African Americans in front of and behind the camera. Click for a complete list of winners. See Spike Lee’s acceptance speech below, courtesy of ABC. Scroll down for more photos. Click through below for more photos.